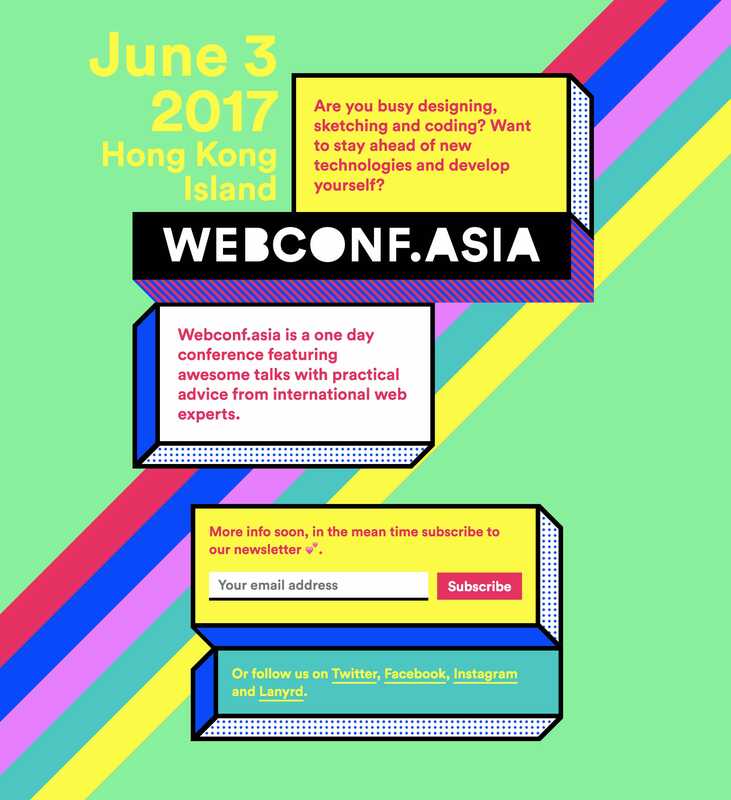 Colorful launching soon page with a hint of brutalism announcing the upcoming Webconf.asia event. A one day conference with international speakers for people who build websites. Save the date! June 3 2017. All the page elements were done in HTML/CSS.